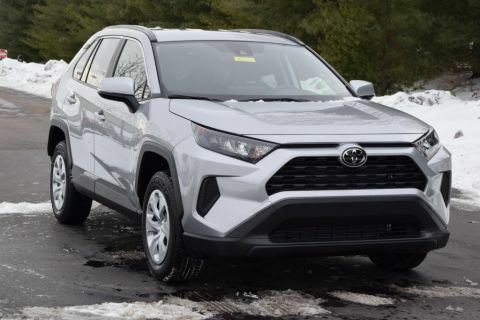 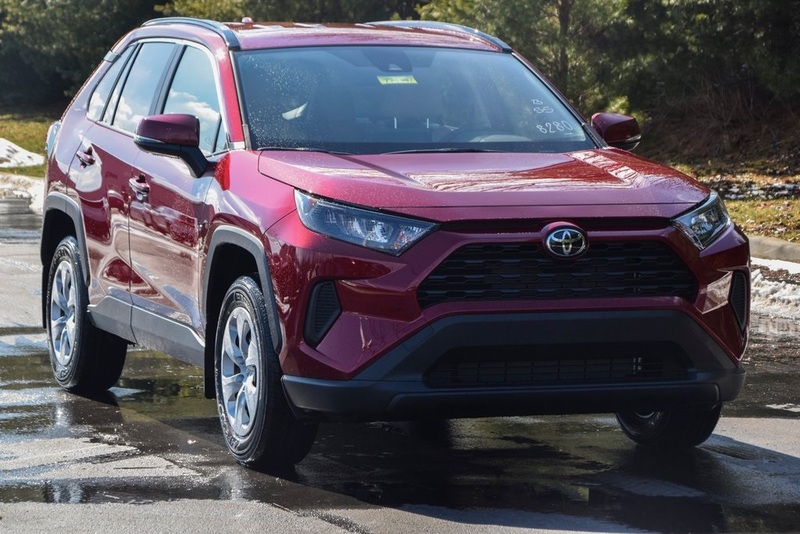 2019 Toyota Rav4 Le FWD w/ Blind Spot Monitor (BSM) with Rear Cross-Traffic Alert (RCTA) - Includes Color-Keyed Heated Power Outside Mirrors with Turn Signal and Blind Spot Warning Indicators. 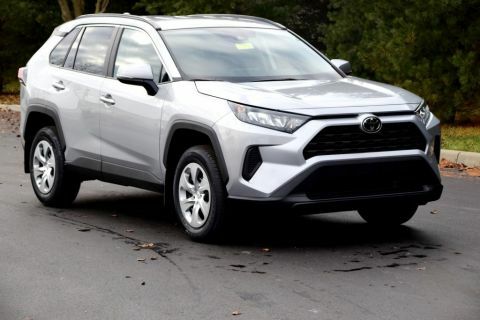 Toyota Safety Sense 2.0: Pre-Collision Sys w/Pedestrian Detection, Full-Speed Range Dynamic Radar Cruise Control, Lane Departure Alert w/Steering Assist, Lane Tracing Assist, Automatic High Beams, Road Sign Assist Star Safety System: VSC, TRAC, ABS, Elect Brake-Force Distribution, Brake Assist(BA) & Smart Stop Technology (SST) Eight Airbags Integrated Back-Up Camera LATCH-Lower Anchor & Tether for Children. 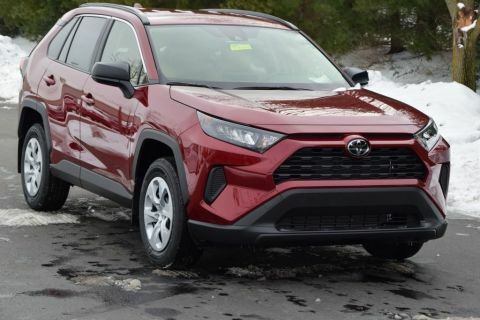 Entune 3.0 Audio 7.0" Touch Screen, 6 Speakers, Hands Free Bluetooth Phone/Music, USB Media Port, Two 12V Power Outlets Siri Eyes Free, Apple Car Play Compatible 4.2" Color Multi-Information Display Remote Keyless Entry Fabric Seats Electronic Parking Brake Electronic Parking Brake.